Shade Sails are stylish, modern and attractive structures that offer protection from the sun. providing persons seated underneath with a cool shaded area. They are extremely versatile and can be supplied in many shapes, designs and colours making them fun, funky and vibrant. They can also be designed to mimic shapes such as birds flying with smooth and soft colours to create a tranquil relaxing area. Please read through the FAQ’s below to find out more about our Shade Sails. If the below FAQ’s do not answer your questions, please contact us and we will be happy to answer any queries you may have. Do your shades sails provide protection from the sun? Our Shade Sail fabric blocks up to 96% of the sun’s harmful UV rays. The fabric is UV stabilised offering the best protection from the sun. Our standard shade sails are not waterproof as they are manufactured to provide excellent protection from the sun, using the highest grade commercial shade cloth. They are designed to provide protection from the sun only and that is why they are often referred to as sun canopies. The Evershade Shade Sail and the Kesgrave Retractable Shade Sail however, are both covered with waterproof fabric. We also offer an excellent range of waterproof tensile fabric structures, click here to view our full range: Tensile Fabric Structures. What colours can the fabric be supplied in? Can we take the shade sails down at the end of the day? Our shade sails are permanent structures. They have been designed specifically to be left outdoors 365 days a year and will not need re-tensioning. Why don’t your shade sails need re-tensioning? Our Shade Sails use stainless steel cables which keeps the sails tight and does not allow them to sag over time. This means the shade sails will not need re-tensioning. Can we attach the sails to our existing posts? The posts that we attach the sails to are set in concrete to a maximum depth of 2 metres. If you have existing posts, one of our surveyors will need to come out to examine the posts to see if they are suitable. What is the typical price of a shade sail? All our shade sails are all made to order and we therefore do not offer standard sizes, please call us to discuss your requirements as we can provide you with guide prices over the phone. Please call us on 0800 389 9072 to receive your guide price or email us. What Shade Sail designs do you offer? Our Shade Sails are available in a range of different designs and sizes and they are all bespoke to your requirements. Click here to view several our previous Shade Sail Designs or contact us on 0800 389 9072 for more information. What are your Post Pads made of? Able Post Pads are filled with non-absorbent foam for maximum protection. The post pads are manufactured from reinforced PVC and are designed with eyelets to drain off water build up. Unfortunately we are unable to provide a supply only service with our shade sails. How long does it take to install from order? 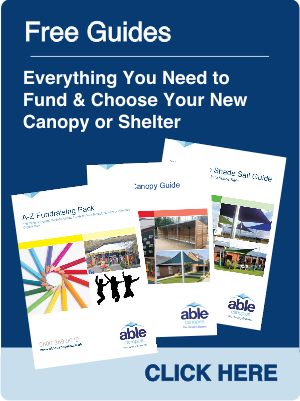 Once you have decided to order your shade sail from Able Canopies, we can discuss available installation dates. The dates offered to you very much depend on the time of year but we always endeavour to get your shade sail installed as soon as possible. Please note: school holidays are our busiest periods. If you wish to have a holiday installation, please book your installation early to avoid disappointment. With our shade sails, please bear in mind that the posts are installed into the ground first and allowed to set. Approximately 14 – 21 days later we will then install the shade sails fabric. Will we need planning consent? You need to contact your local council to find out if you require planning permission or building regulations as all councils are different. We do offer help with planning. Click here to download your free planning guide. 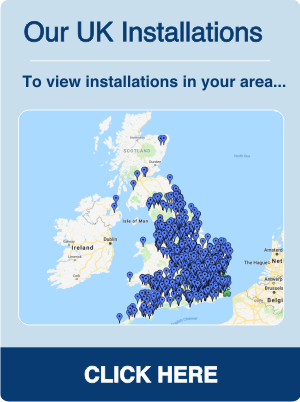 Have you installed in my area? 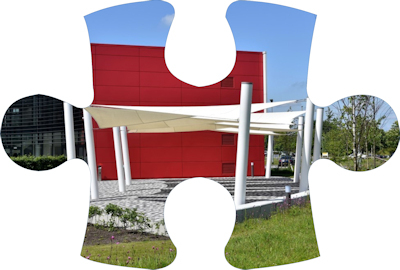 We have installed thousands of shade sails, canopies and shelters across the UK. To see installations in your area, visit our Shade Sail Installation Gallery. How can I maintain my shade sail? To maintain your shade sail, we recommend that you periodically hose down the shade cloth to keep its vibrant colour and vitality. Can a shade sail be moved after installation? Yes, the relocation would be charged at an installation only price, but it is possible to move our products to a different location. Does the price include installation and groundworks? Yes. The price within the quote provided includes the product, full installation and making good around the posts after excavations unless otherwise stated. Will I be getting value for money? With our shade sail systems you get excellent value for your money. We provide a commercial grade system which offers quality and longevity at excellent value. Are your workforce DBS checked? Yes, our surveyors and fitting teams are all DBS checked (formally known as a CRB check). How can I find out more information abou your Shade Sails? 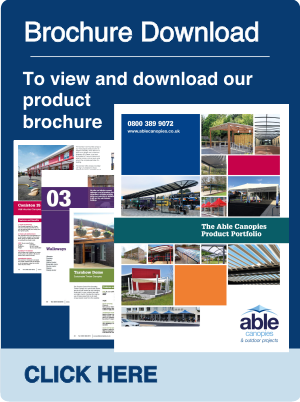 You can click here to view more information about our Shade Sails, or download our brochure.